It's been a busy couple of weeks of magazine coverage for us. Edge Magazine (#302) did a studio profile about us for the issue. We're biased but we think it's a great read! Definitely one to check out. Our other piece of recent magazine coverage is in the Dec 2016 / Jan 2017 issue of Develop magazine. We've got the cover (look at the artwork!) and features inside. 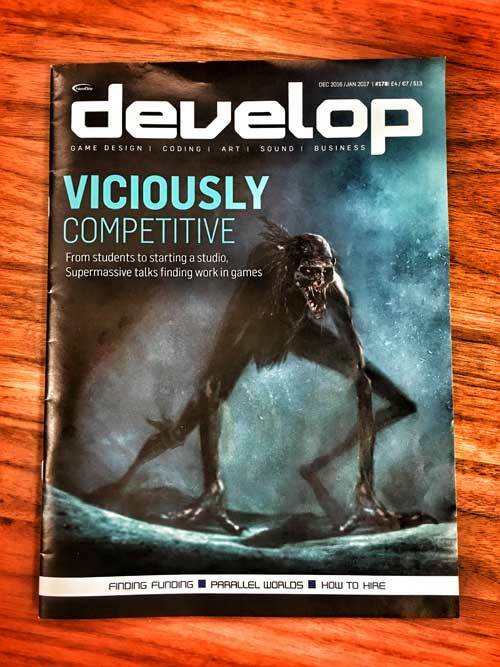 The magazine is for games developers but we thought the cover deserved more promotion - click on the image below and enjoy!